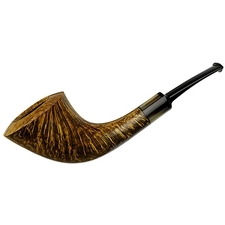 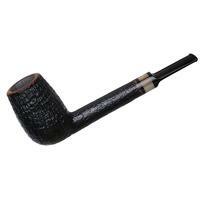 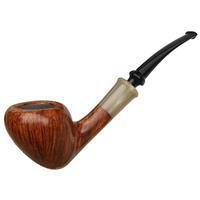 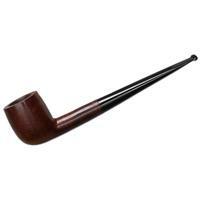 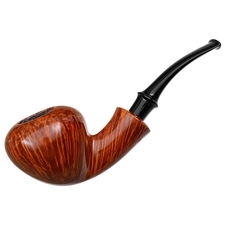 The Pickaxe isn't an uncommon shape within the Danish tradition of pipe making; from W.O. 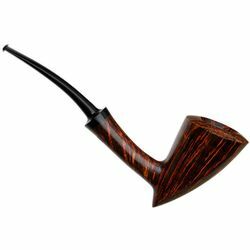 Larsen to Sixten Ivarsson himself, artisans all over the country have embraced the design, no doubt due to its inherent Art Deco style of sharp tapering lines and trim, lithe proportions. 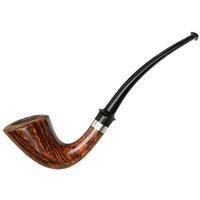 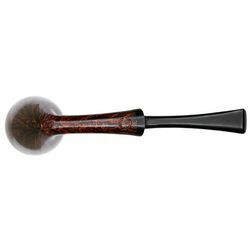 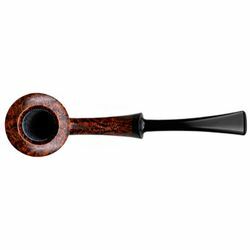 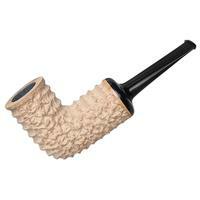 It's surprising then that, counting all the pipes we've seen from Tom over the years (including both new and estate pipes alike), this is the very first Eltang example of the shape we've received. 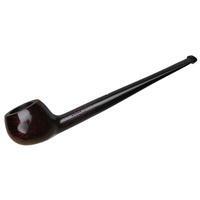 Practically embodying the Danish modernist ideal of liberating external elements from any support duty, its trim, slender proportions are just stunning, lending extra visual weight to each defining line and taper within the composition. 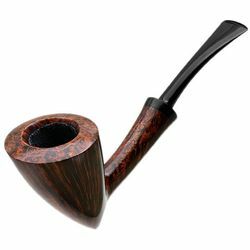 Its lean, slightly high-set transition and sharp spur along the heel create a dynamic, rakish silhouette in profile, balanced out by a subtle, implied S-curve through the shank and stem. 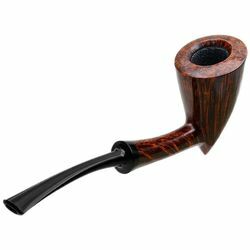 On top of all that, Tom's made sure to keep the block's grain on full display, highlighting an array of straight and flame grain through a fiery contrast stain. 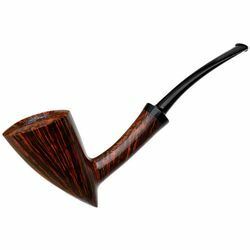 All in all, it's a shame we don't see more of these jaunty briars from Tom, as they are striking examples of not only the Danish tradition but Eltang's masterful technique as well.